When questioning the aesthetic value of objects I chose brick as the subject. Bricks are used for creating interiors and exteriors which makes us see them aesthetically and question their value. By putting the equality sign between a square meter of bricks and a square meter of its photography I compare their value. 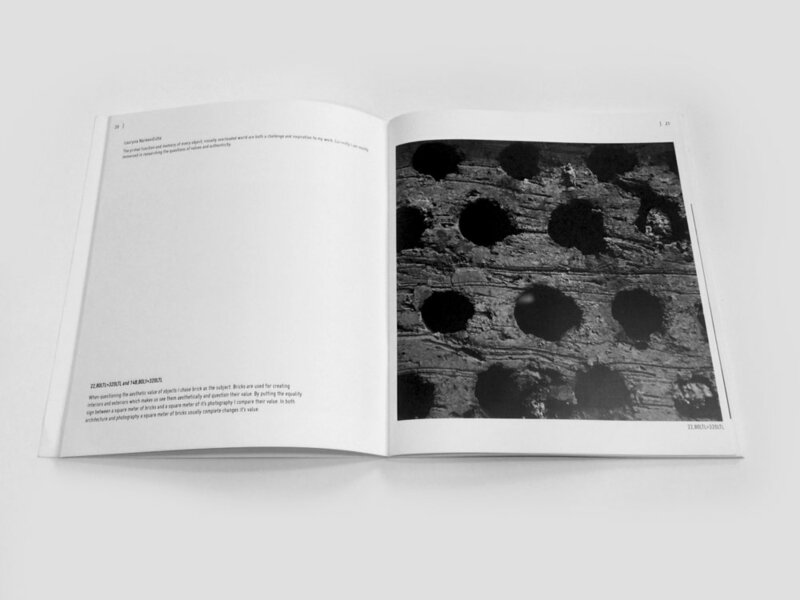 In both architecture and photography a square meter of bricks usually completely changes its value.